The Skinny Bear Extra Wide Gap Drop Shot Hook gives the plastic bait more room, preventing worm ball up, and allowing better hook penetration. You will also notice deeper hooking, than just in the lip area. 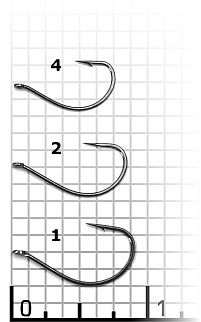 One of the sharpest hook points on the market at an affordable price. It works great for drop shotting, wacky rigging, and split shotting.